This is something new and I have not tried it yet but I still thought it was interesting enough to bring forward here. Google recently unveiled a new Ecommerce Search Solution. 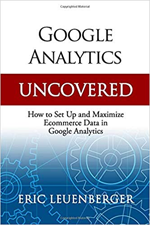 It looks to be geared toward big ecommerce retailers and the pricing scheme for it will depend on the number of products/items on businesses’ data feed and search queries. The Official Google Blog says Commerce Search aims to make the otherwise cumbersome task of searching for products on e-commerce sites easier and more fun. If anyone has had any experience with this new tool I’d love to hear about it. What are your thoughts? Wow! I didn’t take a look at price but did know they are targeting larger retailers. I wonder why larger retailers wouldn’t have searches that are custom to their store (and effective) as well? I would imagine you could have a custom search solution developed (again larger retailers) for that amount. Very interesting.